We help bipolar executives. There are many executives with bipolar disorder. Our work is helping to motivate, encourage and work to help bipolar executives. We do this by providing mentoring, coaching and helping you to continue to build your business. If you have an idea or already work for a business there is an opportunity to improve your work. Our goal is to improve your situation. We do this by offering a free initial 30 minute telephone session. 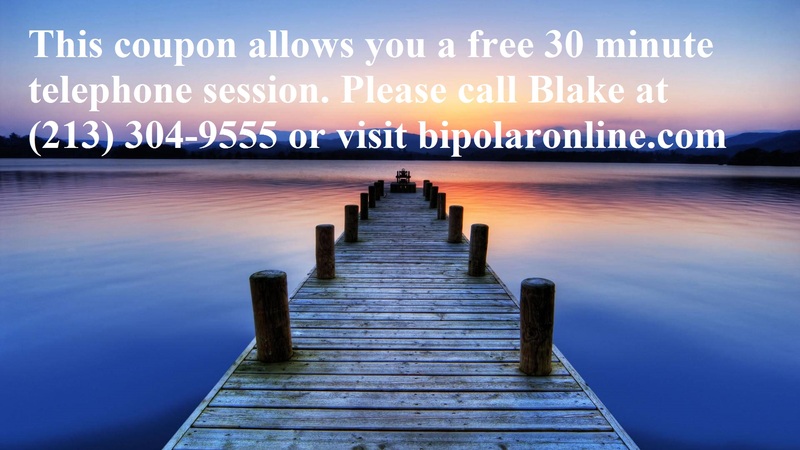 You may call Blake LeVine anytime to have this free session by phone. If you continue to work with a coach there is a charge and we offer several options. We’ve seen many executives with bipolar benefit from our in depth help to make better choices. It is also helpful to have a person capable of providing strategy and tools to build your company. We thank you for calling us and learning about the way we help bipolar executives.